The Lord Buddha has taught people how to help others. In order to help another, one should be healthy, have a good life and treat others in a considerate way. One is considered a good citizen if one treats his family, employees and neighbors well. Employees should be cared for in terms of food, money and health so that they can gain the ideal career advancement required. The Gangaramaya Temple has a history of over 100 years. 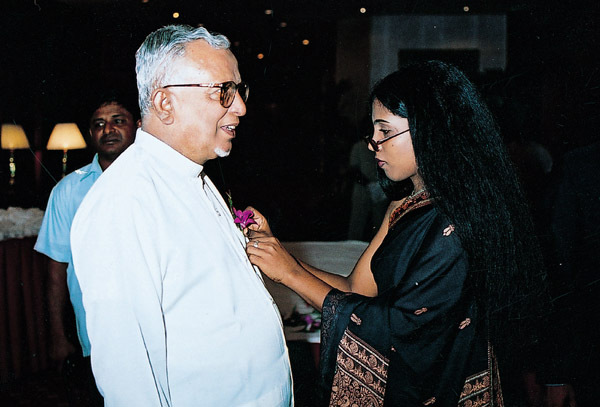 Mr Parthipan, Managing Director of BT Options, has been closely associated with the temple for a long time and I congratulate him for having brought such prestige both nationally and internationally to Sri Lanka. This Awards Ceremony is a good platform from which all business sectors can move forward in an ethical and socially responsible manner. Let me at the outset say that we are greatly honored and privileged that we were able to attend this function this evening. When the invitation was extended, we felt it was our duty on behalf of the Government to be present here to congratulate the winners and thank Business Today for successfully undertaking this great task for the last six years. Business Today is a widely read and widely accepted magazine. 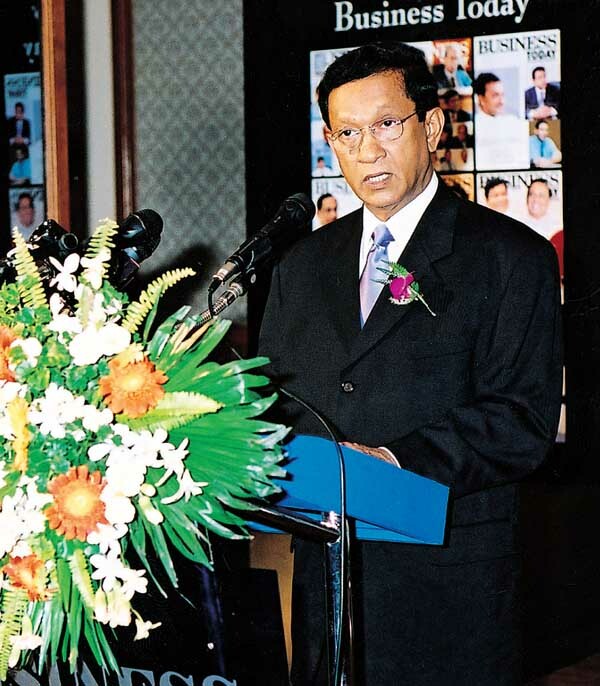 I also know that this magazine has a circulation not only in Sri Lanka, but also overseas. 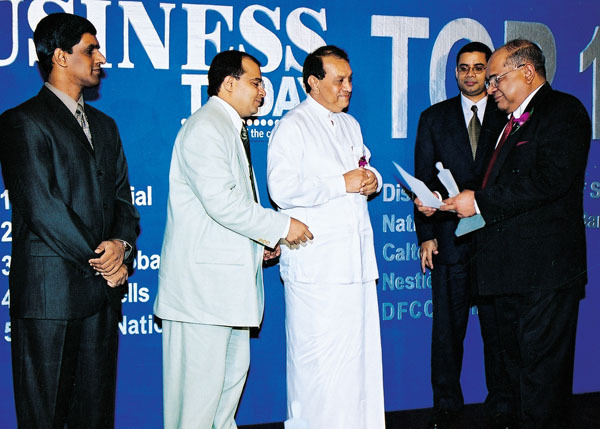 We also congratulate the top performers for the creation of wealth and employment and wish all the companies success, as they will someday place Sri Lanka on the global business map. Myself, I left the private sector in 1992. Although I thought that I should return at the end of two years, it did not happen. I will not begin to touch on the latest development of the modern management techniques. However I will touch on two important aspects. One is the aspect of training and development, that is human resource development. We touch on human resource development because today we as a Government have a serious problem in creating jobs for the thousands of young people who are coming out of the universities and schools. 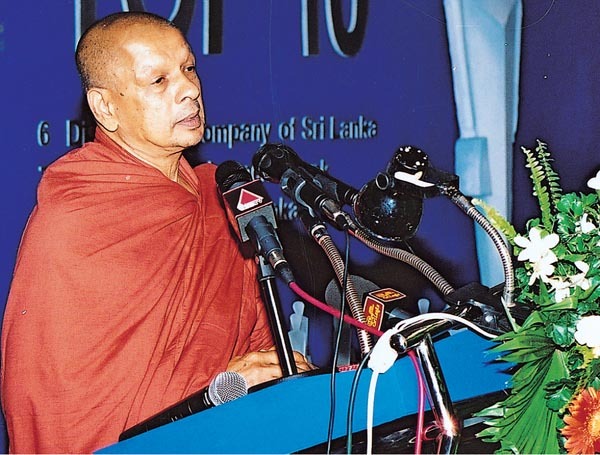 I think Venerable Galaboda Gnanissara Thero was invited here very specially because we know that he has been training more than 25,000 young men and women to seek careers, to find an ultimate living. We are very grateful to him for having done this as a social service. We should look at the private sector very seriously. We must also not forget that when India obtained independence, Prime Minister Nehru touched on human resource development. He took the great task of bringing in foreign expertise for management training. He also provided training in the Harvard University for entrepreneurs. Even after 53 years of obtaining independence, we in Sri Lanka have to look at training our youngsters to meet the modern challenges of management. The other aspect I would like to touch on is social responsibility. The UNF Government is very keen to implement Independent Commissions of Police, Elections, the Judiciary and the Public Service for accelerated growth. We are hoping that most of these Independent Commissions will be established soon. We would like to ensure the role of law which is also one of the essential requirements. We will also look into the private sector for growth and development. It is a Government policy that the Government will govern and the creation of wealth will rest in the hands of the private sector. So let me thank the organizers, for providing this opportunity. I am very grateful to you, Mr Mathi Parthipan and his team for organizing this event because those who are worthy of credit are being congratulated and they are provided with the opportunity to air their views. They have expressed valuable views, some of which will definitely be given consideration. 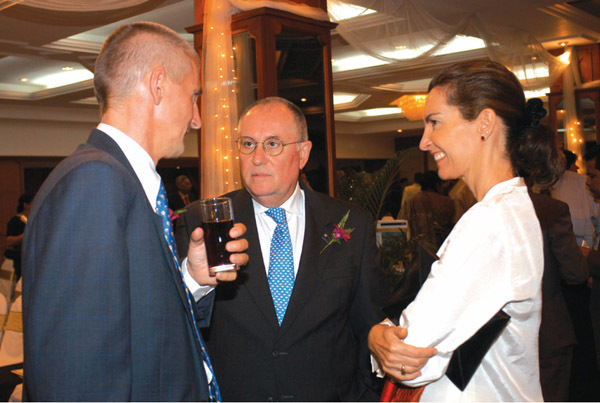 This annual Awards Ceremony has become an important day for the private sector. I thank the organizers for this well-organized event and also let me wish the hundreds of other institutions who were not given any Awards, the best of luck. There are many new institutions doing extremely well today and they have become models. So we wish them well in their endeavors. Finally let me wish you, ladies and gentleman, peace and prosperity and also thank you for the courtesy of your attention. 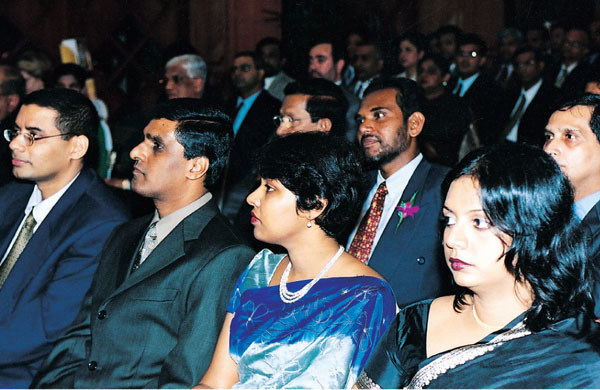 It is my privilege to address you on behalf of Business Today at this premier event, which recognizes the champions of Sri Lankan business and the giants of the corporate world for the year 2000/2001. In recognizing these institutions we also recognize the CEOs who lead these giant companies. 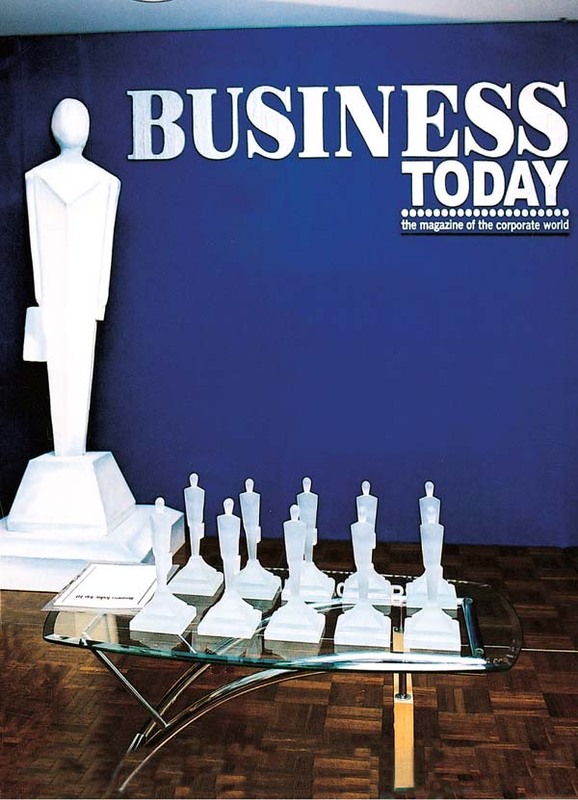 Business Today is poised to recognize business excellence for the sixth year. This year we brought in one change to the criteria to recognize companies that excel in attracting, developing and retaining top talent. Today, we all know that the leading organizations of the future will be employers of choice, attracting and retaining the very best people around. Like in previous years, the selection itself was done by identifying the 100 most traded shares. Then we used turnover and profit to zero in, and finally we applied the 11 criteria uniformly and ranked them according to the total score. The weights were used uniformly and there was no variation whatsoever. The winners this year, unlike ever before, were totally outstanding. 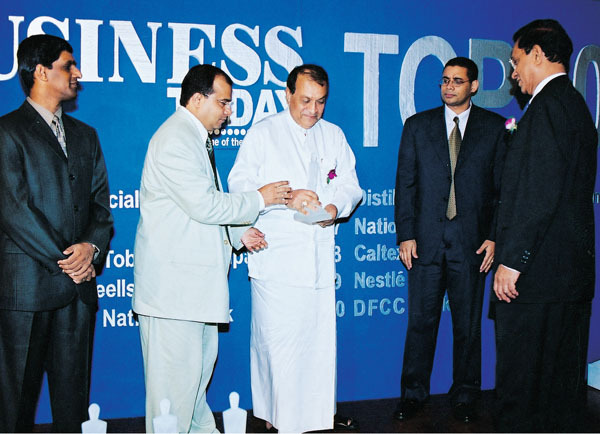 Therefore the Award in many senses is a benchmark towards corporate excellence. The criteria developed and refined over a period of six years ensures that only the best of the best are singled out for this unique recognition. Turnover and profit continues to remain the supreme test of this capacity to deliver amidst adversity. To secure sound business results in such a climate like ours, takes guts, sweat and tears. The Business Today Top 10 ranking is therefore the ultimate recognition of this capacity to survive, thrive and prosper in adversity. In today’s tough business environment, great qualities of leadership, innovation and corporate governance are more important than ever before. Therefore the Business Today ranking is a reflection of qualities and practices that have come to be accepted by the people advocating good management practices. Business today endeavors to encourage and recognize top corporate performance. The private sector while being cautious has laid the foundation for such commitment. Our leaders in the Top 10 companies have recognized the need unlike ever before to project themselves beyond the customer. The Government therefore needs to build upon it and continue to create the conditions for the private sector to prosper. The axis of all the Government’s policy imperative is employment creation. More jobs for the multitude passing out of universities. In order to promise this generation a bright future, we all need to get our act together. Social responsibility is another dimension, which we endeavor to recognize and reward, which very often gets marginalized in the relentless pursuit of wealth. Business Today believes that companies that respond positively and with commitment to address community issues by changing their business practices to address social issues, will be the leaders of the future. This is an important dimension, which had transformed society and business in the US. I did mention at this same forum some time ago that the Andrew Carnegie and Rockefeller foundations were two such benevolent funds owned by the private sector, which distributed private wealth for public benefit. We have still to emulate this example. India too has its TATA Foundation, taking the initiative in social responsibility. Such social movements animate society and project the positive image of business among the society at large. It signifies that business exists not for profit alone. Therefore it is a critical need, not an option particularly at this stage of transition, which the present Government has brought to bear on us. Our leaders in Government and in opposition need to recognize the dire necessity of sinking their political differences and meet at a single table to chart the future of this country and economy. The cry of the hour is accelerating the pace of the peace process. In order we thrive on creativity we need to innovate, even borrow from the best practice, and above all create the climate conducive for growth, not only within enterprises but also within the economy. We need peace in order to do so. We need to co-habit or perish. 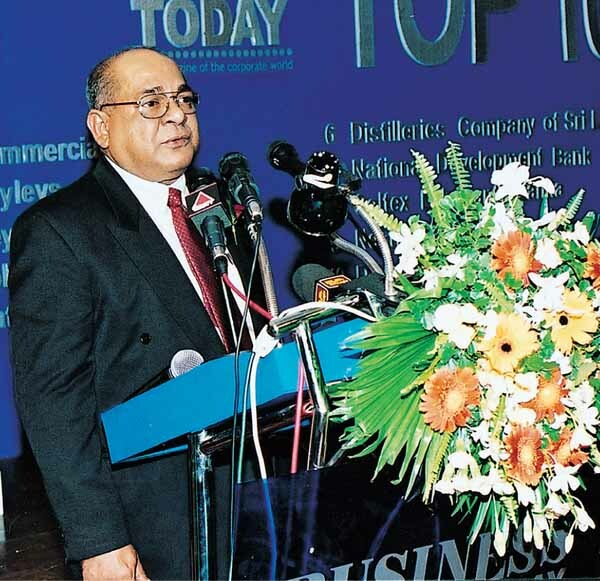 Number 1, Commercial Bank has strengthened its position as Sri Lanka’s best-managed bank. Their unassuming management team has made the company move from its rank of number four last year to number one this year. 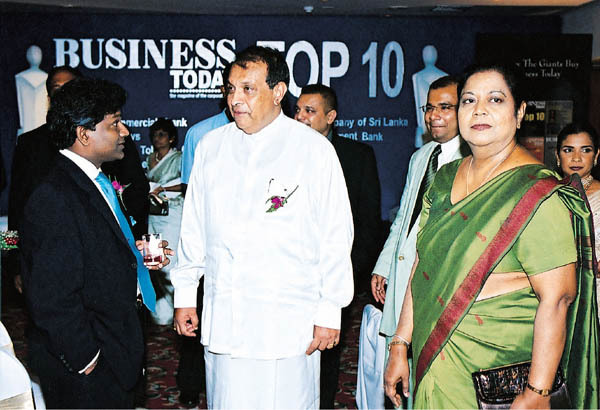 I am extremely pleased and proud to be here today representing Commercial Bank, which has been nominated by the prestigious Business Today magazine as Sri Lanka’s number one company. As you all know from the time Business Today started ranking the Top 10 companies six years ago, Commercial Bank has always been among them and we are glad to become the topmost company within a short period. We had many other successes along the way. We have been nominated as Sri Lanka’s best bank on many previous occasions by prestigious magazines such as New York-based Global Finance and London-based The Banker, which is published by the Financial Times Group. These successes have been repeated on several consecutive years. 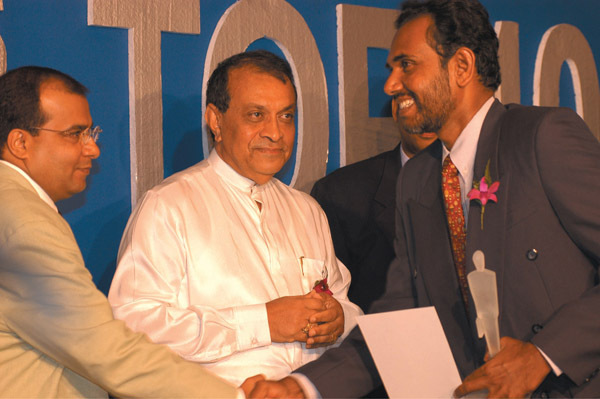 But this nomination as Sri Lanka’s number one company is something we consider very unique. 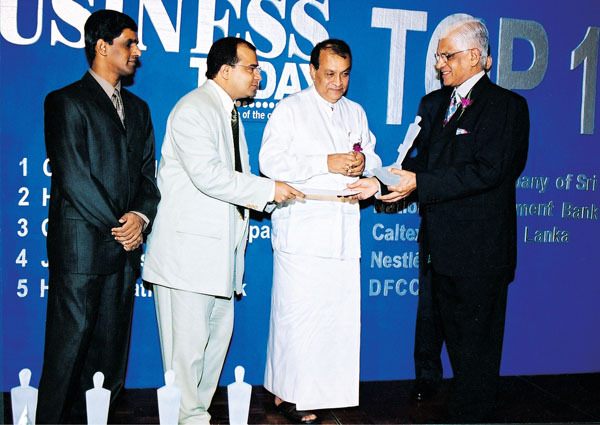 We consider our nomination as an honor for the entire banking sector because after a long period, a bank has been nominated as Sri Lanka’s number one company. At this moment, it is important that we look back and see what brought us to this position. Observing from outside you may see many different attributes of Commercial Bank which have brought us here. But as I see it from within, I can say very confidently that there were a few major attributes which have continuously guided us, that have enabled us to do well even during difficult times. If I were to share some of these with you, I would say that the most important was that we always followed the basic principles of good management. Another was the continuing effort made by us to protect and safeguard the interests of all stakeholders. Namely, shareholders, both minority and majority shareholders, staff, depositors and borrowers. Protection of all our stakeholders meant that we focused on improving the stability of our bank whilst at the same time expanding our geographical reach, customer base and business volume. A stable bank is measured by good capital adequacy ratios, a sound track record in profitability and acceptable non-performing ratios. With this in mind, back in 1996 we embarked on making certain important changes that have brought about this success today. In today’s competitive market, a bank has to differentiate its products from the competition in order to succeed and to achieve higher business volumes. This was very successfully achieved by employing modern technology to its maximum. During this period, we established the largest ATM network in the country and also connected our entire branch network including those in the north and east, to a centralized computer system which provided online real time banking to all our customers. Stability was achieved by conservative management of our loan portfolio. We have also laid heavy emphasis on training our staff in customer orientation and have achieved corporate goals through a motivated team, working in a performance driven culture. Our efforts were further rewarded in the year 2001 when we received the highest rating given to a bank, SLAA+ by Fitch Rating. Our success today is ample testimony to the contributions made by all these stakeholders and I would be failing in my duty if I do not publicly acknowledge their contributions. Then there was another factor, which enabled us to do well. That was the constant attention paid to keeping costs under control. It was actually management of costs rather than cost cutting per se. We have been conscious of cost both in the good times and bad. Whilst doing all this, we have not forgotten the wider social obligations of being a leading corporate citizen. Besides contributing very substantial amounts of Government coffers each year through taxes and other contributions, we have silently assisted worthy causes at corporate as well as at branch levels, particularly in the outstations. A major contribution we recently made was the construction of a fully equipped ward for the Victoria Home of Incurables, an institution playing a unique role out of the limelight. In the same spirit we agreed to sponsor badminton, a game immensely popular but lacking financial support of sponsors. The various other causes assisted by us are too numerous to mention at this moment. We have today reached an important point in the recent history of our country. A solution to the ethnic problem that has troubled our nation, is seen in the horizon. 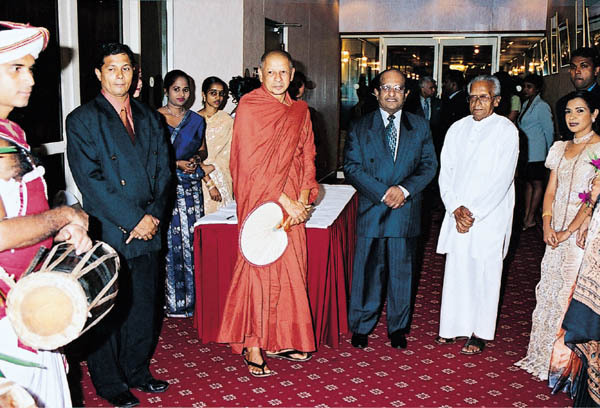 The peace overtures being made give us hope that at least our children will see and enjoy the fruits of true peace in Sri Lanka and it is up to all of us to actively support these efforts. 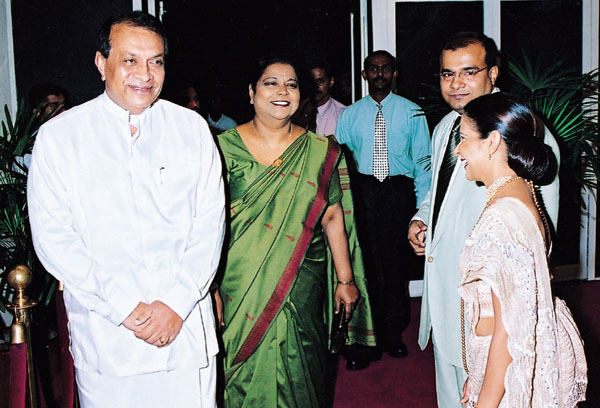 Once peace is firmly established, it will no doubt give impetus to the plans that are being drawn up by the Government as well as the Central Bank authorities towards making Colombo the financial hub of South Asia. 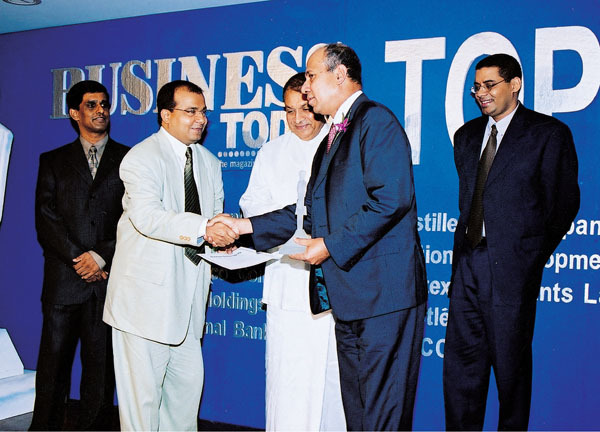 In conclusion, I would like to commend Business Today and its publishers BT Options for the initiative taken to rank the top corporates of Sri Lanka. These rankings are now well accepted by the Sri Lankan business community and have become a major event in the corporate calendar. On behalf of Commercial Bank, the Board of Directors and myself, I would like to thank Mr Parthipan and his team for organizing this memorable evening. 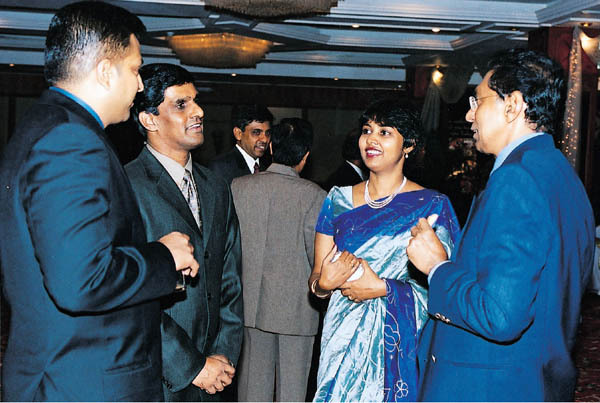 Number 2, Hayleys maintains its key player status in Sri Lanka’s corporate community. Its success has been mainly due to the sharp focus in its selected business sector, a strong market position in a changing business environment and strong leadership. I am appearing for my Chairman who is out of the island. On behalf of Hayleys, I thank Business Today for the unsolicited Award presented to us this evening. Most awards, even under the ‘national’ prefix, have to be applied for. On the last occasion, my Chairman briefly touched on the progress the group had made over the ten years, and elaborated on various impediments being faced at that time. 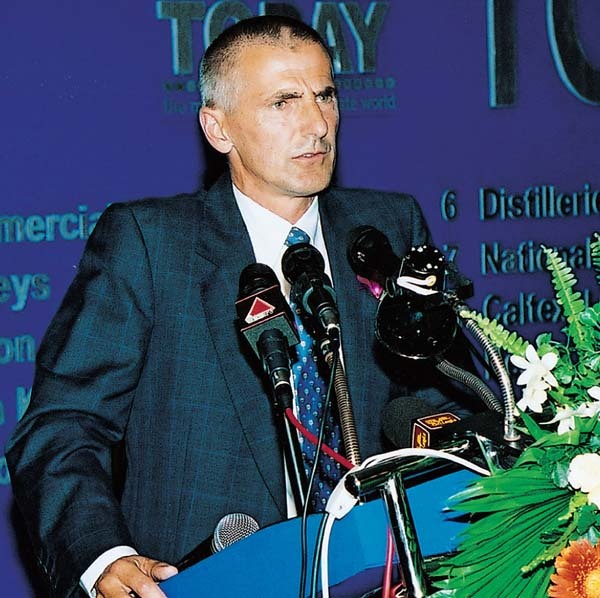 These include lower rates of depreciation than was prompted by inflation and interest rates, particularly in the light of the collapse of the East Asian currencies; unfair competition for importers of ‘white’ goods due to manipulation of the duty free allowance scheme; restrictive labor laws; excessive holidays and stringency of environmental standards and their enforcement without linkage to the state of economic development of the country. They have not moved out of our radar, but it would be puerile for us to keep whining over these when graver issues such as the peace process, political and security stability locally, terrorist threats, imminence of a war and economic recession globally, loom larger on the screen. The spiral is incomplete without reference to increased prices, electricity and freight. If this were not enough, we have still to emerge from an unprecedented drought induced year, of a shortfall in coconuts, the husk and shell of which, the group is heavily dependent upon. The celebration of the Golden Jubilee of the incorporation of the company this year, and the 125th anniversary of its origin next year, on an austere note then, seems justified. Suffice to reflect upon how we coped with adversity, and grew over the past few decades. Are there lessons for the future? In the early 1970s, Hayleys was a commodity export trading entity, probably not classed with the elite corporates of the time, because of its association with coir – a waste. This was augmented with agency representation locally for some internationally reputed brands of products and shipping lines. There were no missions, visions or goals. Only the conviction that, to insulate ourselves from the vicissitudes of commodity markets, we must ‘add value’. It was perhaps the worst time to launch into industry, with the Government’s licensing and control mindset, that had to be experienced to be believed. But that is just what Hayleys did! Treading tentatively and with modest investment, we embarked upon making agricultural sprayers and formulating pesticides for the local market; converting charcoal to activated carbon and producing rubber gloves for the export market. The twine and brush industries followed. We shed trading in rubber. All these were pioneering ventures, founded on the premise that the country needed to earn or save foreign exchange via export or import substitution. 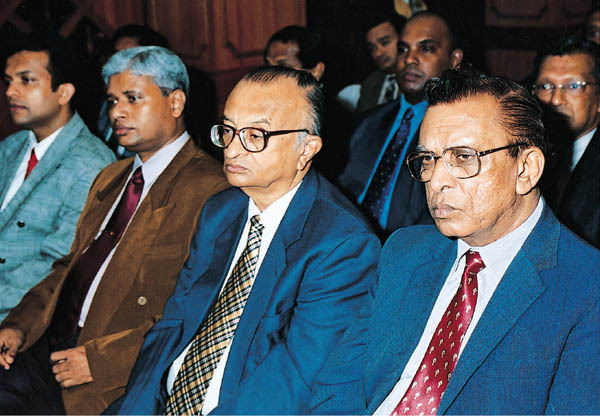 Liberalization of trade and incentivization of exports and investment therein from 1977, coincided with marketing successes of these ventures, which in turn propelled their growth. In the fluctuating business climate that prevailed since 1983, new products or services were added, capacities increased, technologies developed, labor intensive inputs outsourced, processes automated, presence in overseas market places established, and offshore production added. Thus, resources were invested simply because it was logically the next step to take or to overcome uncompetitiveness, as niche products became commodified, or politically biased fiscal policies lost us the comparative advantage, or prioritized a new sector. ‘Diversity and decentralization’ – hackneyed catch phrases of the past, are being re-defined today in the context of best business practice. It excludes frivolous forays into numerous business areas, but commends diversity in what one does in the given core businesses, be it forward or backward integration, or lateral growth. It attempts to identify what authorities may be delegated to strike the right balance between motivating the engine without loss of control of the wheel. Though not thus strategize, this is what has enabled the group to survive and grow, in the worst of times and in the best of times. 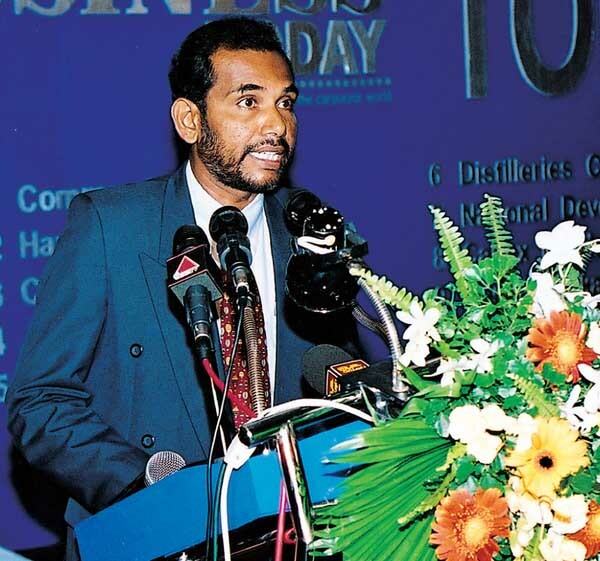 Number 3, Ceylon Tobacco Company (CTC) once again ensured its presence among the top performers in the country. CTC is the only company, which has secured a place in Business Today’s Top 10, over the last six years. This is mainly due to its commitment to excellence and dedication, and high-powered standards, believing that its employees come first. I am proud, privileged and happy to accept this Award on behalf of CTC. I have three areas which I would like to talk about this evening that I think is of relevance to CTC. In a new section that was added to the criteria by Business Today magazine, namely ‘Employer of Choice’, we have been placed first. This is a very relevant criterion because it recognizes our efforts in emphasizing that within a corporate, its best asset is its people. In a survey conducted, the response has been that CTC is a great place to work and that it provides training, medical and other benefits. I am very proud to say that 14 of our Managers are currently working in various parts of the world in very senior roles. This also shows the talent that Sri Lanka has as a nation and our being ‘Employer of Choice’ helps CTC to profit in both national and international levels. Moving to the second area of excellence, our contribution to the community and the environment has also been recognized. 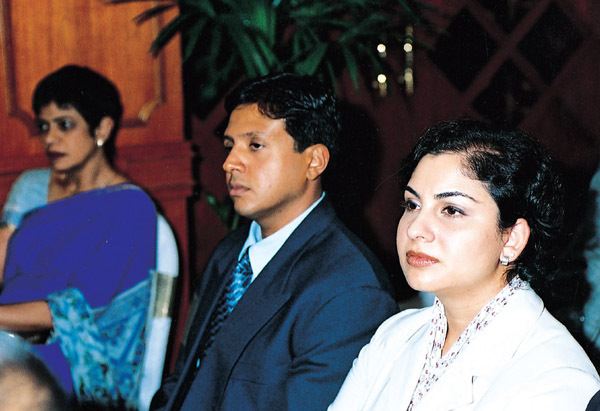 I am happy to say that in the year 2002, CTC was the first company in Sri Lanka to publish a Social Report. We are truly credited in addressing stakeholders’ reputations. I believe this will get us an even better rating at the next Business Today Awards. Finally we have been placed first in ‘Value-added per Employee’. This highlights that CTC invests in its people and productivity achieved through this. At this time I would like to mention that while welcoming the peace process and economic stability in Sri Lanka, there is room to improve foreign investment and I am sure that the country and its economy will have tremendous benefits by this. CTC will be able to perform even better under these conditions. 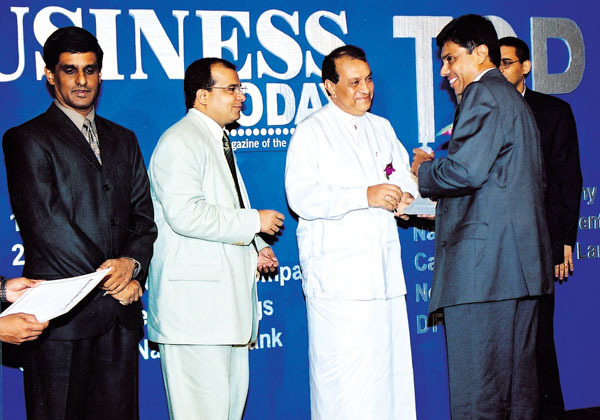 Let me take this opportunity to congratulate Commercial Bank and the organizers for coordinating a really superb event and for permitting the top companies of Sri Lanka to recognize their achievements. Number 4, John Keells Holdings (JKH) has moved down the rankings possibly due to the poor performance of their hotels and financial services sector. Over the years, the three times winner has proven beyond doubt that it has the business capability to build and sustain a conglomerate that shareholders, management and staff can be proud of, against the backdrop of a rapidly changing business environment. I have been requested by my Chairman, Mr Vivendra Lintotawela to convey his inability to attend this Awards Ceremony as he is committed to another important official function. May I on behalf of John Keells Holdings, at the very outset thank Business Today for their kind invitation. We are naturally proud of our record having been with the Top 10 since the inception of this appraisal. 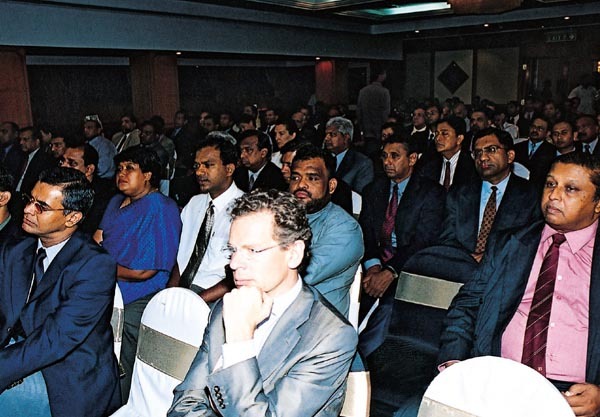 The year 2001 was indeed a challenging one for our company as the Sri Lankan economy contracted for the first time since independence. The unfortunate terrorist attacks of July 24 and September 11, together with a prolonged drought, extended power outages, high interest rates and inflation contributed to the difficult economic environment. Most of our co-businesses were affected by these trying conditions but made a strong recovery in the final quarter of the financial year underscoring the group’s strong fundamentals. Suffice is to say that our performance is largely influenced by our people to whom we owe our gratitude. We look to the coming years with much optimism, encouraged by the on-going peace process and the Government’s privatization, reform processes and economic policies. The climate for investment opportunities is unfolding and we will continue with our policy of pursuing new and emerging ventures. May I also congratulate those other companies, which are being honored here today, and particularly Commercial Bank for being the best among the ten. I wish them well. In conclusion, I thank Business Today for giving us the opportunity to participate in the annual Top 10 Awards Ceremony and wish them continued success in all their activities. Number 5, Hatton National Bank (HNB) remains one of the most dominant and aggressive player among the private financial institutions. An outstanding achievement that warrants commendation is HNB’s commitment to the community at large. I would like to congratulate Business Today for sustaining this competition for so long and giving us this opportunity to display to the rest of the community, the merits and efforts that the companies put in to keep up to standards. Today, ladies and gentleman, as mentioned earlier by one of my colleagues, the environment has changed. Several Ministers here will vouch that they as a matter of policy are giving encouragement to the private sector to play a role in the country’s economy and business. In this context we all know that we have a tremendous responsibility placed upon us. But honorable Ministers, there is a loud noise coming from the other side. I heard that there is going to be an islandwide protest campaign against privatization. I think this noise is far too loud. Our people are very forgetful and the Government is too silent about it. You have not come into power to implement policies of the opposition. You have to make it very clear to the community that you have been given a mandate to the people to implement a certain policy of privatization, and therefore involve the private sector. Whatever others might say, let them take action if and when they come to power. I believe that in time we will not get put off by noises, demonstrations and unnecessary disturbances. This is very important in order to progress. Having said that, we all know that we have a role to play in the development of this country. 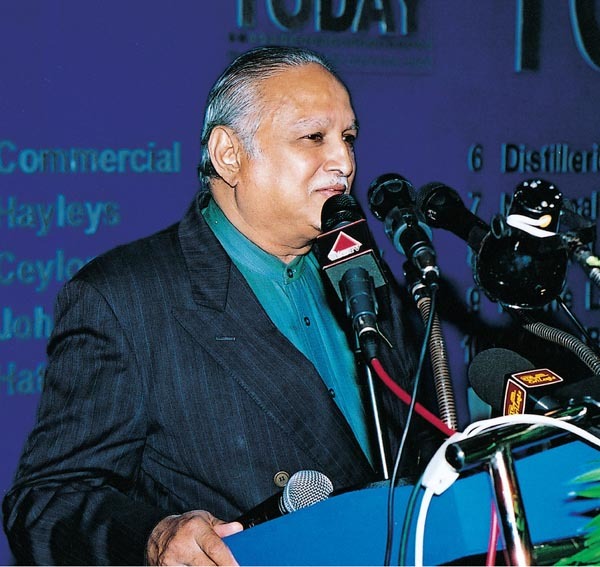 Mr Dinesh Weerakkody’s speech mentioned the role of social responsibility. In addition to the balance that we show in our balance sheets, we have the responsibility to build up social capital which is vital in this country. In that respect we all have to do whatever we can to generate employment and income to increase savings in this country. I am happy that HNB has been able to figure among the Top 10 since its inception and I thank my Board of Directors, the management and staff for making every contribution towards this event and assure Mr Parthipan and his team that we will continue to contribute in every manner. I congratulate him and I hope he will have the courage, enthusiasm and resources to continue this contest. When you look at the Top 10 list, I happen to represent a very controversial company. Doctors, Medical Dignitaries, many Politicians and most of the peace loving people sometimes say that alcoholism is bad for the health due to various reasons. However I do not know how we have been selected year after year among the Top 10. Today we have been placed sixth. I have been associated with these Awards for the last four years and I am proud of it. Alcoholism existed even in the ancient days. Even the Bible says that the Lord Jesus Christ took wine when he visited a wedding house. So even the Bible says that wine and alcohol go hand in hand. I am not saying that it is not all good, but various views are being expressed. After the early 1990s we have made much contribution, study and effort to give our consumers a more refined product. We can also proudly say that we have achieved higher standards in knowledge and technology. I must say that unfortunately the legislators then and now have made the market illegal. This has deprived the factory workers from being paid revenue. A new infrastructure can be made possible if the legislators take a tariff. I would like to thank my Board of Directors and Mr Parthipan for organizing this event, and for the encouragement and inspiration given to the CEO’s present at these Awards. 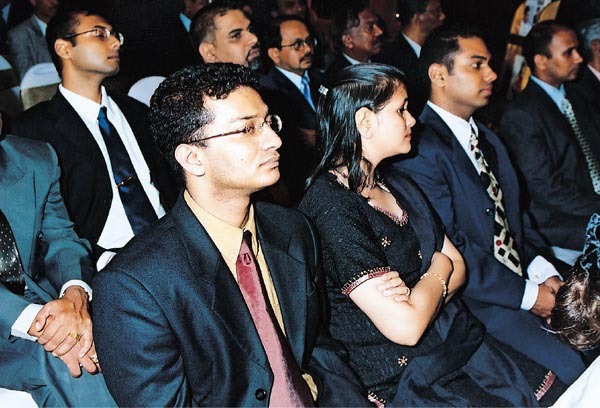 Let me also thank my staff who have given me encouragement, cooperation and support to make this company a better company amongst all the others in Sri Lanka. Thank you once again Mr Parthipan for giving us this opportunity and making this standard as high as ever and giving all the CEO’s the chance to express their views. I assure you of our cooperation and wish you all the best. 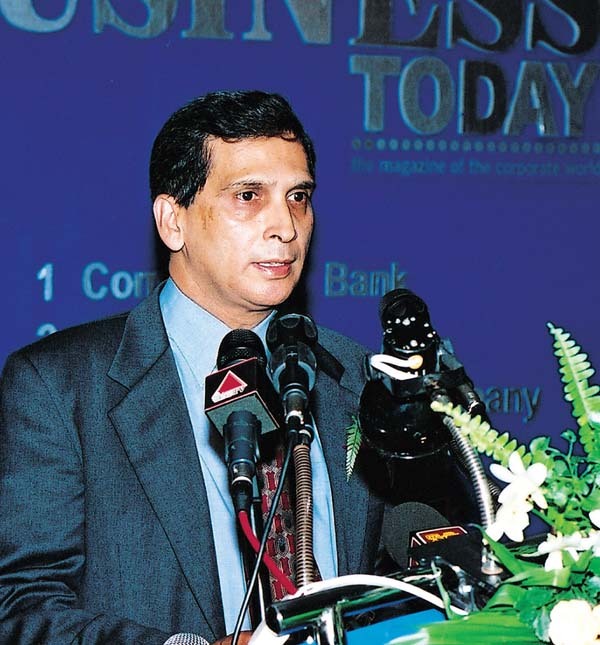 Number 7, National Development Bank (NDB) has moved down in its ranking when compared with last year. 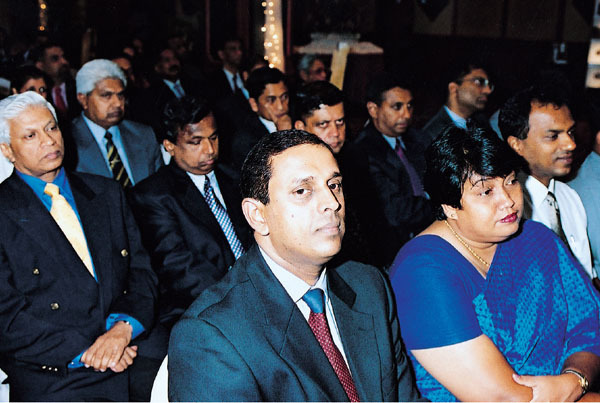 NDB has had a very difficult year, like most other conglomerates in Sri Lanka, due to poor business conditions that prevailed. 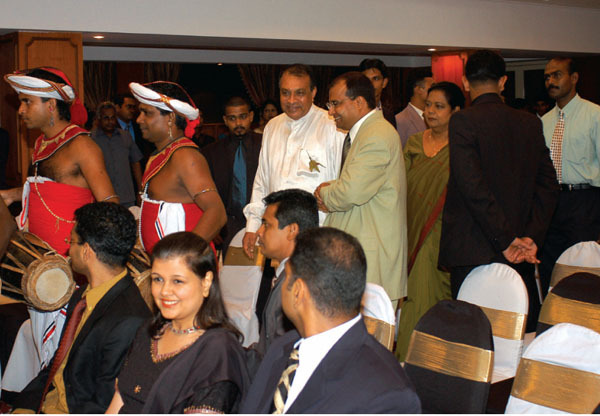 Sri Lanka has today within its grasp, a unique opportunity to achieve both peace and prosperity. It also faces many challenges as it seeks to reach this elusive goal. At home, the focus is on building a path to peace and political stability while simultaneously implementing much needed structural reform. Overseas, the threat of global terrorism and the faltering world economy engages the minds of leaders. 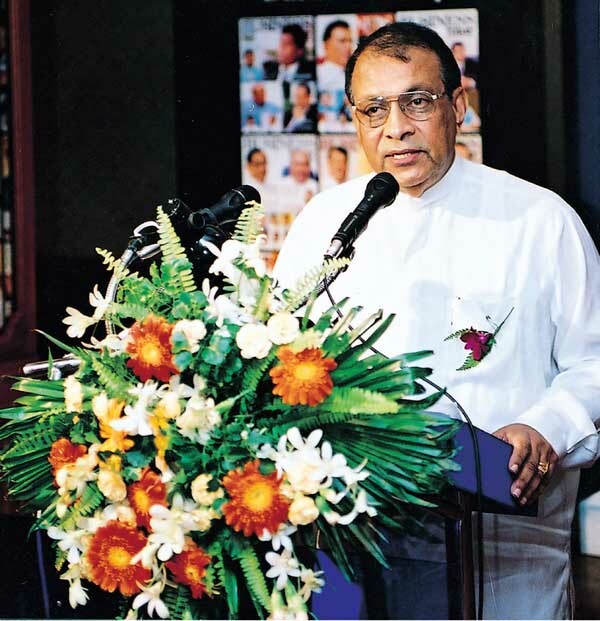 In Sri Lanka, however there is one important issue, which has not received the prominence it deserves, and that is the role of capital, the fuel that powers the engine of growth. The need for new capital to drive increased growth, is beyond dispute. The tide of overseas aid will ebb and flow, but for sustained development we must aim for self-reliance on capital. However capital investment as well as national savings have been falling in this country in recent years. The quantum of capital needed for each percentage increase in GDP growth, depends on the efficiency of its usage. Unfortunately capital productivity in Sri Lanka is far lower in comparison to our Asian competitors including India. China for example, uses capital, 40% more productively than we do, and therefore needs fewer funds to produce the same amount of growth. If Sri Lanka is to increase GDP growth to say 8% per annum, it is a stark reality that assuming unchanged productivity, new investment of well over US$1 billion will have to be infused into the economy every year to drive this growth. Without this, such growth is a mere vision, an empty dream. There are many changes that we need to make as a nation if we are to attract capital on this scale and use it more efficiently. Fundamental, complex and difficult changes in policies, attitudes and patterns of behavior are necessary, if we are to compete with every other country for the scarcest resource of capital. In particular the banking industry will be called upon to play an important role in this endeavor. If it is to respond to this call, it must be prepared to deal with new challenges. Banks need increased capital now, to meet the requirements of regulators who require higher amounts of capital to support the risks that banks take. New capital will need to come from either retained profits or new equity infusion, both of which will be based ultimately on profits and shareholder expectations on profits. However, profits are likely to come under increasing pressure. Customer expectations are increasing, both in terms of service and price, at a time when bank cost, including the cost of bad debts, are also rising. There is an increasing need for strong, highly capitalized and therefore highly profitable banks, which possess the economies of scale to keep costs down, and the skills to evaluate, manage and price, the plethora of risks that banks face today. There is much work to do. The NDB group looks forward with optimism to meet these challenges and to help Sri Lanka on its march to growth and prosperity. Number 8, Caltex Lubricants Lanka has moved down two positions since last year. However Caltex has a strong market position, corporate image, leadership and a range of world-class products. These characteristics are the key to its success and presence in the all-star list of 10. 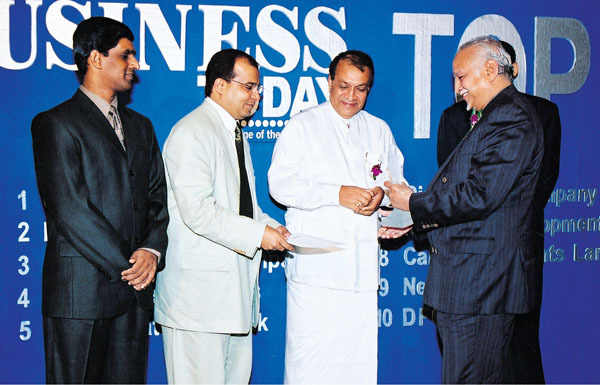 It is indeed an honor for me to be present here today to receive this Award on behalf of Caltex Lubricants Lanka in the Business Today annual Top 10 Awards Ceremony for the year 2000/01. 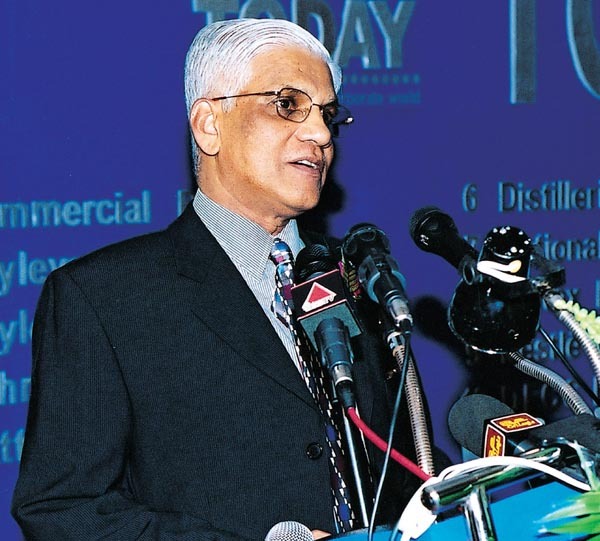 As you are aware, Caltex Lubricants Lanka has been placed within the Top 10 companies for the past three years and we welcome some of the new criteria that Business Today has introduced in selecting the Top 10 companies. We are especially proud of being ranked third in the newly produced criterion of ‘Employer of Choice’. We believe that in a competitive environment, human talent is the only factor that cannot be emulated. With the merging of our parent companies in October last year, Caltex is now a part of Chevron and Texaco. It ranks among the few largest, fully integrated energy companies in the world. This has opened new avenues to bring together a wealth of talent, shared values and mutual commitment in developing our lubricants business around the globe. Sri Lanka is already enjoying these benefits which include technology advancements, along with border products portfolios of Chevron and Texaco. Our vision is to be a global company with a difference in its people, partnership and performance. 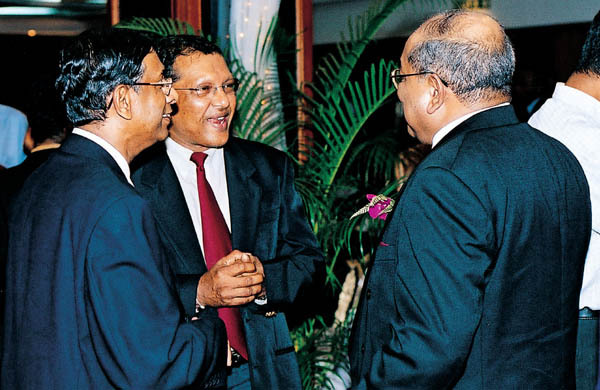 Hence we welcome the liberalization of the petroleum industry by the UNF Government, which we have tirelessly canvassed for since re-entering Sri Lanka in 1994. We are pleased with the liberalization process executed by the Minister of Power and Energy and the recent enactment of the Ceylon Petroleum Cooperation’s Special Provisions Act which provides the legislative freedom for other players into the market. We believe that the Public Commission is intended to cover the regulatory structure of the petroleum sector as well as other utilities in the country. The Independent Regulator should have discussions particularly on environment and safety pricing, product verification and competition. We request the Government to make every effort to structure this program in a transparent manner. We should not only deal with the end consumer but also attract ordinary dealers. Much needed is foreign direct investment and technology transfer. 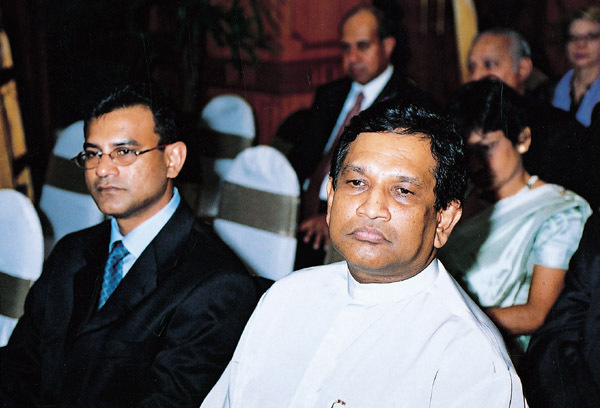 We also believe that the aviation sector should be liberalized as a separate business unit if the Government intends to make Colombo a regional hub. Like most businesses, the aviation business is also from the peers of knowledge, technology, business systems and marketing achievements. Aviation fuel suppliers are exposed to huge liabilities which are ignorant in the aviation business. This situation has been further exasperated by the event of September 11, 2001. We invite Business Today to recognize some of the key financial tools in the modern financial world. These indicators would capture the day-to-day performance of a company rather than absolute performance. We are very positive about the new outlook of the country in light of the peace initiative of the UNF Government and opportunities and challenges in our own horizon. We at Caltex are very confident that we can accomplish our global vision of being the most admired energy company in Sri Lanka and our journey towards that vision is to encourage the Caltex local company to grow from strength to strength. Number 9, Nestlé Lanka has a world-class reputation for marketing quality products, and has very good business practices. 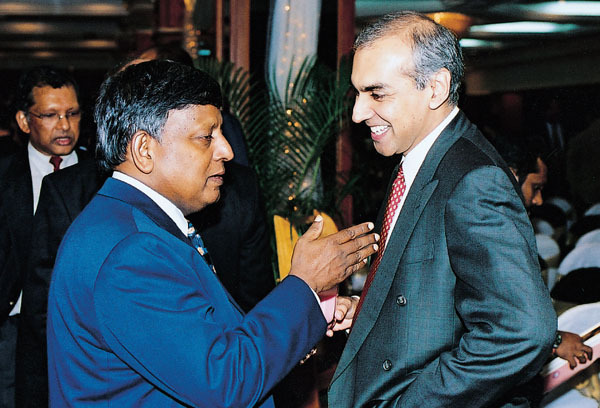 This multinational consumer giant is one of Sri Lanka’s most enduring companies. Firstly I would like to thank all of you for being present here tonight and in particular to Business Today for the selection and recognition given to Nestlé Lanka in this particular competition. 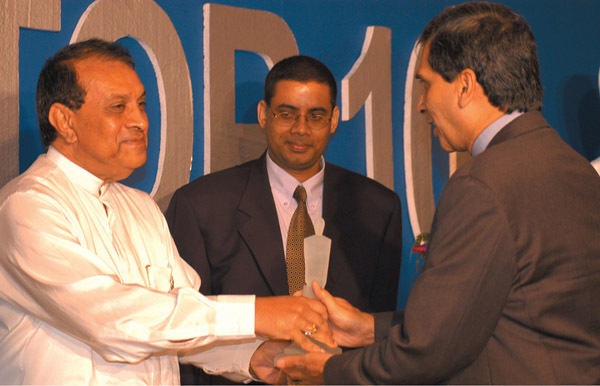 Nestlé Lanka is particularly proud of this Award as the criteria and the way in which the selection is made reflects not only the performance of the company but the way in which the company is performing towards the country, consumers and clients, and also the environment in which it operates. We think that this array of different criteria is particularly important for a company in order to receive feedback about the way in which the company operates in a particular country. 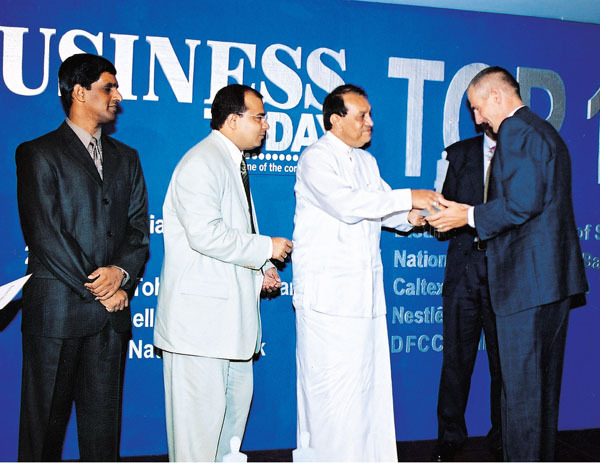 What makes us very proud and very happy to have received this Award is that we consider the operation that we had last year as one of the most difficult that Nestlé Lanka has gone through. I think the business people and authorities present here will understand exactly what we mean by that, as it was a battle last year. We are very happy to be among the best ten companies which were able to fight this battle. Lastly I would like to thank the Board of Directors, the Management Committee and the whole team of Nestlé Lanka for making this Award possible. 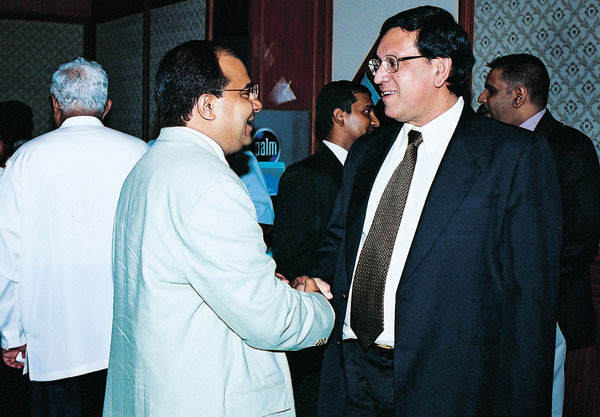 Number 10, DFCC Bank has over the years played a pivotal role in developing the financial sector beyond the traditional banking services in Sri Lanka. It is indeed an honor and privilege for me to stand here today to accept this Award for my institution being selected among the Top 10. I think it is correct to say that DFCC bank has been included in this prestigious list in every year since its inception. We are standing here today in a completely different environment after many years of civic strife. At least there is hope now that we can pursue with ‘the business of doing business’, without having to worry about our personal safety. This is indeed a complete change in the business environment. That is not to say that everything is perfectly fine. There are still certain problems that need to be resolved, firstly in the ongoing peace process. 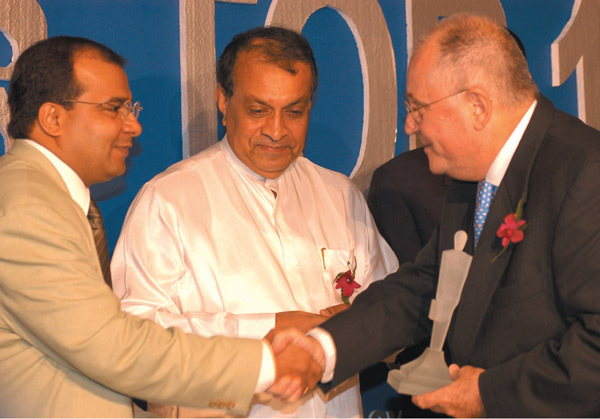 On the economic front, several issues need to be addressed because of problems which relate to the world economy as well as issues relating to Sri Lanka. However, I am happy to say that at DFCC bank, we believe in supporting the development of this country and in this regard we have already taken certain initiatives to actually help in the development effort that lies ahead. Not traditionally in the southern areas where we have been developing, but in other areas as well. It is still too early for me to describe this in detail and this is not necessarily the forum. However, hopefully by next year I will be able to say more. Again I must thank Business Today for recognizing my institution and I must also say that this is by no means an effort purely attributed to me. The support I received from the Board of Directors, the Chairman, my senior colleagues and the staff at all levels contributed to DFCC entering this list again. BT Options has its origins in a company set up in 1987 and is mainly involved in communications and media products. 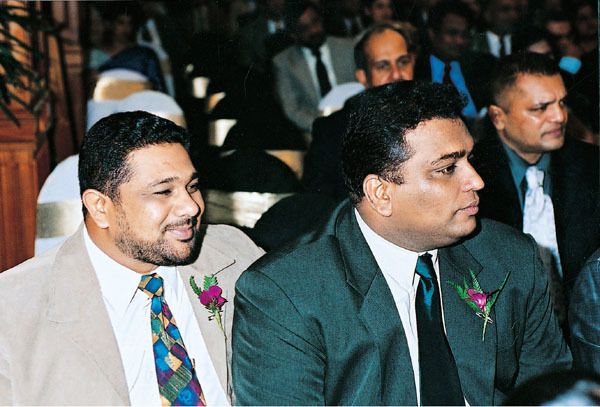 Since 1992, the company has been managed solely by Sri Lankans, without any foreign backing or investment. Today we have a talented, dedicated and enthusiastic team of 56, with an average age of 27. At the time of joining the company, around 99% of the staff had no prior experience in their respective fields, but this has not hindered BT Options’ progress. We have the technology and trained personnel for complete in‑house pre press productions of full color magazines. 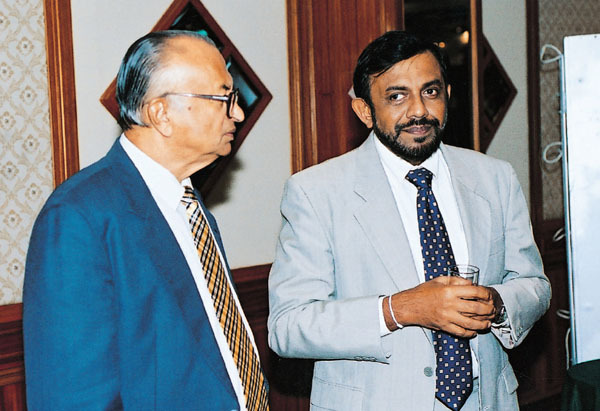 BT Options was a pioneer in the introduction of Apple Macintosh computers to Sri Lanka in 1987. The in‑house production unit is equipped with 38 Power Macs, including a cinema display, Digital Vertical Drum Scanner (the first of its kind in Sri Lanka), Image Setter and a Processor. Our well-equipped photographic department has the latest digital and manual cameras, and related equipment to meet international standards. In the publishing sector, our product line includes three monthly magazines – Explore Sri Lanka, Business Today and Style, and other publications for corporate clients. 16-year-old Explore Sri Lanka is a promotional tourism, leisure and lifestyle magazine. It is distributed free of charge in Colombo and to tourist areas, as well as by mail to expatriate and local residents, and to Sri Lanka’s missions overseas. 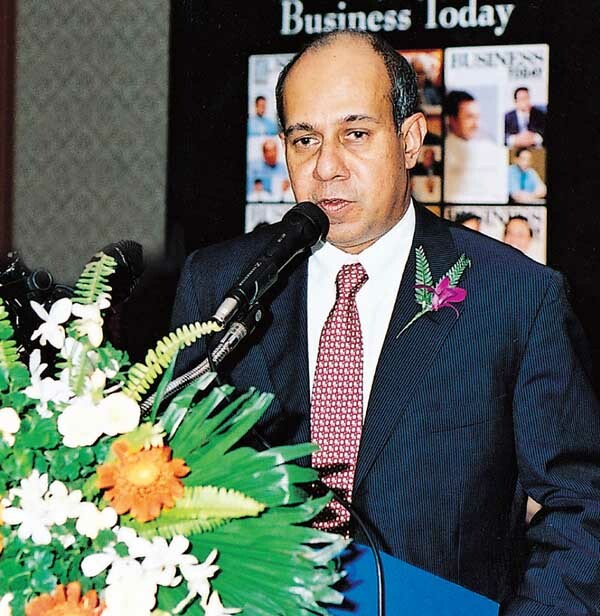 Business Today is the only monthly business magazine for the corporate world in Sri Lanka with a readership of the country’s foremost decision makers. 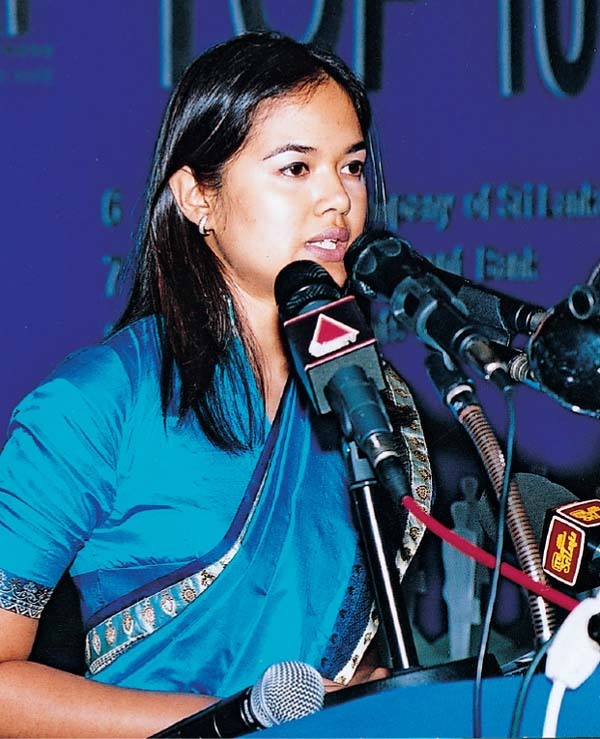 The Sinhala magazine, Style, is the only high quality magazine of its kind where serious women’s issues are addressed. 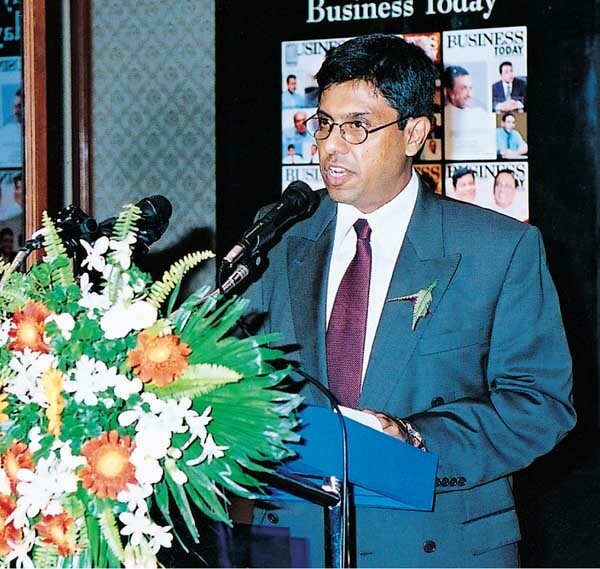 The magazines produced on behalf of respective companies are in English, Sinhala and Tamil. They include Amathuma for Sri Lanka Telecom, SAGT News for South Asia Gateway Terminals, Odel Living for Odel, Plantation World for the Planters’ Association, Life for Eagle Insurance and Diriya Puwath for National Development Bank. BT Options is also involved in the production of special edition books. Our most recent example is the coffee table book, Sri Lanka Story. It was commissioned by Leo Burnett for the Board of Investment Sri Lanka, Tourist Board and Ceylon Tea Board. The initial consignment was 400 copies. However on seeing the incomparable quality, 500 more copies were asked for! This highly acclaimed book was published from scratch within just 10 days, using material from our archives. Our work is of the highest standards, proving that it is not necessary to send production overseas to the Middle East or other parts of Asia, as Sri Lanka is definitely capable of the best! Speaking of being a unique company, we were the only Asians present at the Worldwide Magazine Market Place that is held annually in London, and at last year’s Fortune Forum that was attended by such dignitaries as the current Chinese President Jiang Zemin and former US President Bill Clinton. 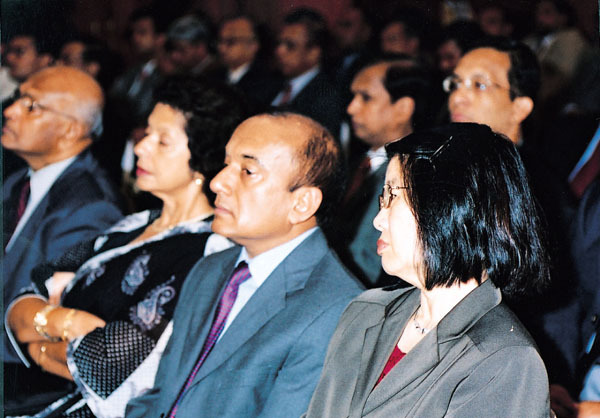 Furthermore Business Today was the only South Asian publication to sponsor the Asian Bankers’ Congress. 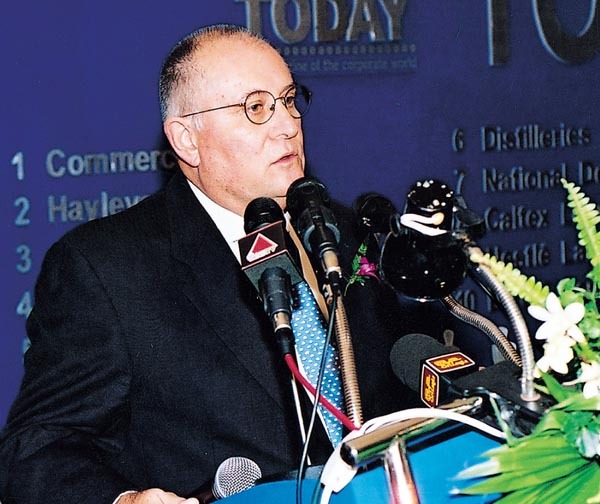 In Alan Dutka’s book titled Competitive Intelligence for the Competitive Edge, Business Today of Sri Lanka is listed in the business magazine category amongst other noteworthy publications as The Economist, The Wall Street Journal and European Business Review, as a reliable source of global intelligence information. We are honored to be mentioned in this book, where the CIA is the agency quoted for information for the US Government. In the IT division, BT Options is the only authorized resellers for Palm PDAs in Sri Lanka. We also design and host web sites for selected clients. BT Options’ latest venture has been the newly opened MindHead games zone and Internet café in Dehiwala. We are proud to have introduced the concept of Local Area Network gaming to Sri Lanka. Plans are currently underway to open similar games centers around the country. 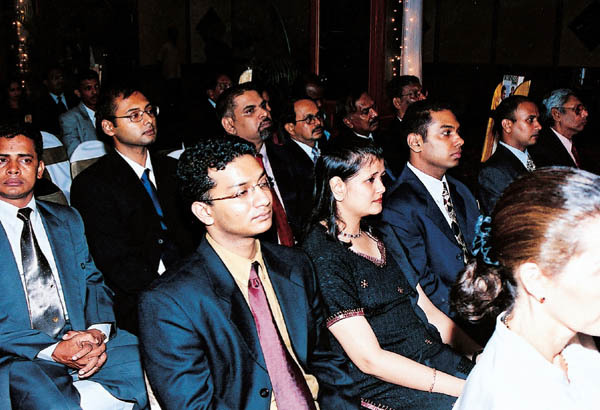 Our associated enterprises include Style Wedding Planner and InvestSL, both ‘join partners together’. 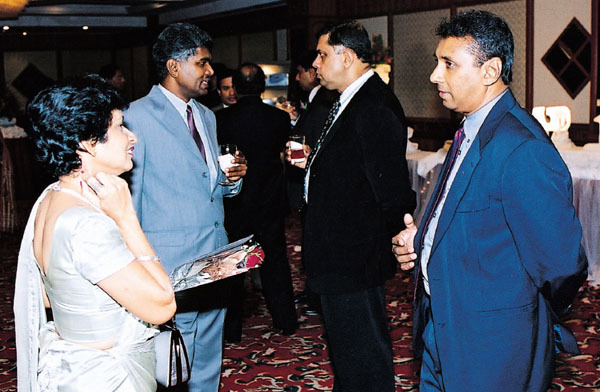 InvestSL is a consultancy company providing research and assistance for potential foreign investors in Sri Lanka. We also hope to launch Gift Sri Lanka, a novel concept of giving gifts. Paul J Meyer, one of the most widely read authors of all time, said: “The only honest measure of your success, is what you are doing compared to your true potential.” This is what we at BT Options believe in.